Being a hands-on landlord is not the sweet dream it is made out to be. Be an investor, not a landlord. Being a landlord can be exhausting—mentally, physically and emotionally, and a lot less profitable than many real estate gurus may make it out to be, especially when you factor in your time. Consider being an investor rather than a landlord. There are definitely many benefits to owning real estate and investing in income-producing rental property. There can be great cash flow, high returns, equity appreciation, pride of ownership, and protection against inflation. Yet, for the five reasons below, being a self-managing landlord is usually more of a nightmare than a dream, especially when multiple properties are involved. 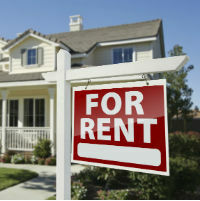 Here are five reasons that self-managing your rental properties can be a real drag. If you are going to self-manage your own rental property portfolio, you can go ahead and kiss your time goodbye. Forget occasionally going on vacation, taking the weekends off, booking dates that you can stick to, or getting plenty of sleep. You have to be on call 24/7/365. Be ready for the phone to ring with incoming tenant and prospective tenant inquiries. You will have to make yourself available for maintenance calls (sometimes which can be emergencies) from your renters and vendors-and scheduling can be excruciating painful when you are dealing with your tenants. You will have to be available for all the DIY fixes, not to mention all the cleaning and upgrades that go along with rental turnovers. Being busy is one thing, but just looking at the above list can be a mental drain, let alone trying to fill all those roles. But, in this position, you’ll also have to deal with a lot of stress. It doesn’t matter how good your properties are or how nice of a landlord you are. You will eventually get some tenants who are very demanding. You’ll get tenants with drama. You’ll have properties that won’t rent right away, and renters who try to persuade you to bend to their every whim. Everyone has a story for why they can’t pay the rent — it can be mentally and emotionally draining making the tough decisions and to feel like you are always the “bad guy” or worse, allowing for tenants to get further and further behind only to delay the inevitable—usually having to ask them to move out. When you are that close to selecting and purchasing investments, supervising rehabs and improvements, accepting tenants and managing your properties, some emotions can come into play. When you allow your emotions to influence your decisions to buy, lease, renovate, manage, and sell, you run into risking your financial results. It’s often better to just stick to looking at the numbers, without even seeing the property. An extremely important consideration is to avoid falling in love with a property. This can severely cloud your judgement when making important business decisions. From the physical dangers of being on job sites and dealing with tenants — to collecting rents and dealing with angry tenants and dogs — to insurance and compliance – to the financial liability involved in being too close, being a DIY landlord definitely has its risks.